SongwritingWith:Soldiers » How Do We Acknowledge Veterans Day? How Do We Acknowledge Veterans Day? 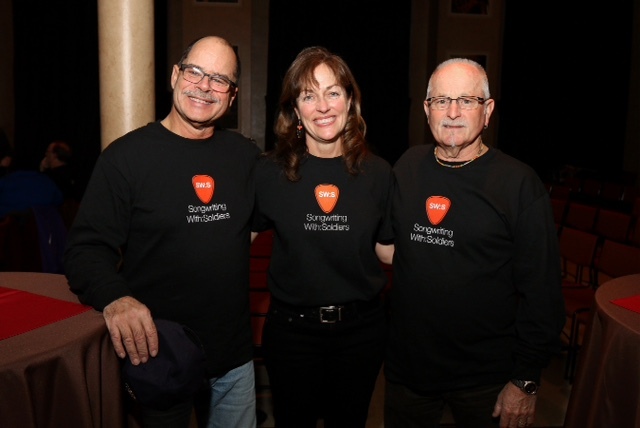 We have learned so much from the veterans who have attended our SongwritingWith:Soldiers programs—the various reasons they joined the military, the struggles they endured, the feats they accomplished, the deep bonds they formed with their brothers and sisters in arms, as well as the pain of loss. 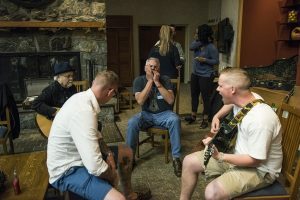 We have also learned that many of our veterans kept their experiences private for years, until they put them into songs during our retreats. And, we have learned that doing so has made a big difference in their lives. Barry arrived at the retreat believing he’d have little in common with the younger participants. Today, he keeps in close touch with Andy and Deven, two Navy servicemen who are in a band, and frequently deployed. Barry has promised to attend one of their shows. After Vietnam veterans Bill Keyes and Peter Nardolillo attended a retreat in December 2013, they went home determined to helped more veterans experience the program. Since then, they have raised funds for SongwritingWith:Soldiers every year. What we have learned from our SW:S veterans of all ages – whether they served at home or in Korea, Vietnam, Kosovo, Kuwait, or post 9/11 wars – is the enormous power of connecting with others who care. 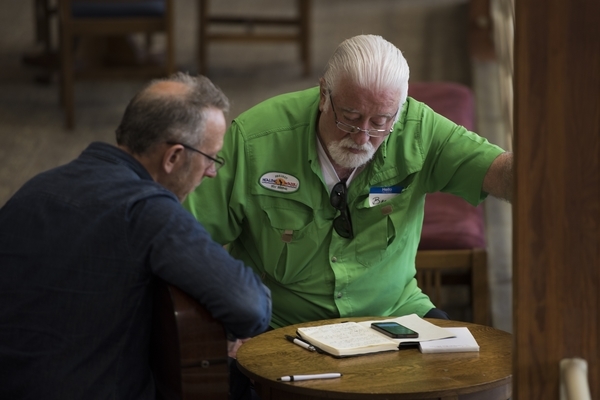 And, when that connection happens through collaborative songwriting and forging community, lives are changed. We know ours have been. For this, we are deeply grateful to all the SW:S veterans, whose songs we listen to throughout the year. Today, we listen to their words as deeply as we can, acknowledge their experiences as fully as we can, and share their songs as widely as we can. Today, we honor of all veterans and military families.